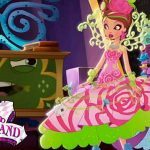 Ever After High, dolls, games, videos, coloring pages and news. Previously On EAH… Get Ready for Way Too Wonderland! 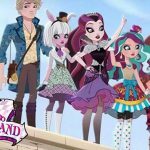 Even if you have recently discovered the amazing and funny world of Ever After High, or if you are already a big EAH series fan, this is a general summary of what we have seen … [Read more...] about Previously On EAH… Get Ready for Way Too Wonderland!